Believe it or not, churches can benefit from having safety teams with concealed carry licenses. At Beacon Insurance Agency of Pace, Inc., our partnership with GuideOne Insurance enables us to offer our clients invaluable insurance and safety resources to prevent risks in whatever form they may come and provide them with the information they need on arming themselves against danger. There are, of course, a few things to consider before deciding that your security force implement weaponry into its arsenal, so we encourage our clients to follow a few guidelines our partners at GuideOne Insurance provide. At Beacon, we strive to light the way to our clients’ peace of mind, and that mission of service often makes it necessary to consider situations that can become tragic. Incidences of deadly violence in churches have increased dramatically in the past few years. Being prepared to protect your staff and congregation from these senseless acts is essential. There are a few ways to do just that, including hiring a professional security team or assembling a security team of your own congregants who have concealed carry permits and the expertise to know when to use them. Due to several factors, it can be wisest to seek the assistance of professionals, whether those professionals are a security company you’ve contracted for service or a team of off-duty law enforcement officers. The reason for this is simply that these individuals have more extensive training and will be better able to respond in a crisis. In addition, formal contracts will lower or eliminate the liability carried by the church if force must actually be taken. 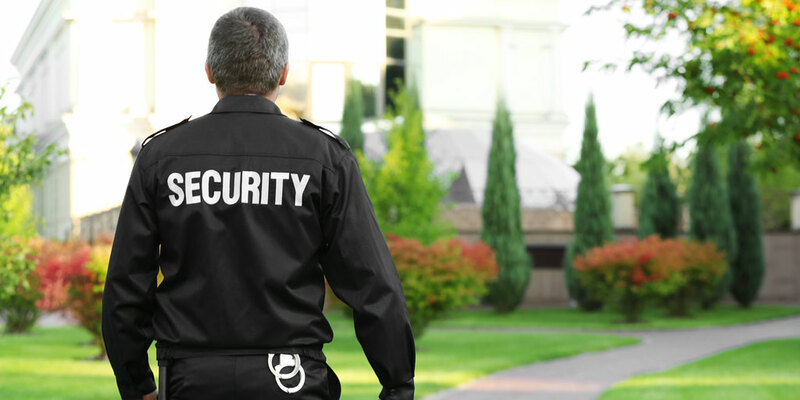 All security personnel must be vetted, even when they are professionals. Your church board should check the references of the teams being considered and ask many, many questions. You’ll need to know all about the training they have received as well as what kind of screening processes their company has put them through so that you can have a clearer idea of their actual qualifications and level of expertise. All contract agreements should also be in writing, with formal details granting your church protection against questionable actions of their officers as well as proof of coverage for your church as an “additional insured” on their insurance policies. In addition, it’s crucial to know their policy on use of force and make sure that it is consistent with your church’s. Internal security teams made up of volunteers from the congregation might seem like a good option, but they do carry the greatest risk of liability. Should the unthinkable happen and a violent situation arises, the volunteers act as agents of the church, which means that the church is completely responsible for any actions they take. In the case that your church board has decided to form an internal security team due to budget needs or simply because such an assembly more fully follows your vision as a church, the church will be completely responsible for the training and supervision of that security team. You will need to conduct thorough background checks and set up clear guidelines for responding to various situations as well as use of force. These team members must also be trained beyond the basics of concealed carry permit training because those simple training courses do not prepare them for dealing with situations involving potentially violent individuals. Training on an annual basis is strongly recommended, and we at Beacon advise our clients to use the resources at GuideOne to keep them apprised of ways to better strengthen their teams. Partnering with law enforcement will be extremely beneficial to internal security teams. They have the training and expertise to guide your team members and can be consulted, often free of charge. You may also want to explore the option of working directly with a church security organization to get your team properly trained. It will also be important to familiarize your church with state licensing requirements and ensure that you are in full compliance with them. Your church can develop partnerships with local law enforcement by inviting them to the facility and asking them to assess your security. Your church can also form a relationship with them by supporting their organization and inviting them to speak to your staff and volunteers about preventing crime. Every state has its own laws regarding firearms in churches, so you’ll need to know what the legalities are for your state. Guidelines for concealed carry should be followed, and those guidelines must be communicated with members of your church so that everyone is aware that weapons may be on site. At Beacon, we discuss policies offering concealed coverage with our clients so that they are properly protected for the security measures they wish to take. Call Beacon Insurance Agency of Pace, Inc., to learn more about GuideOne and the many insurance policies we offer today!